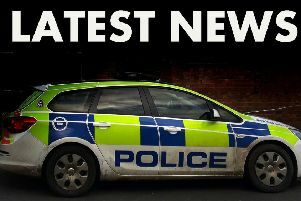 A woman from Aby, near Alford, was handed a restraining order last week after she admitted harassing two of her neighbours - and then breached the restraining order on the same day. Helen Linda Johnson, 75, of Glebe Cottages in School Lane, appeared at Lincoln Magistrates’ Court on Thursday (January 4) where she pleaded guilty to a course of harassment against two neighbouring residents by attending their address, banging on their door, and sending numerous unwanted letters between March 1 and October 25 last year. Johnson was fined £100 and ordered to pay a £30 victim surcharge, and a restraining order was imposed which prohibited Johnson from contacting the victims or attending their address for 12 months. However, on the same day, Johnson attended the victims’ address and posted a letter through their door. She pleaded guilty to this offence when she appeared at Lincoln Magistrates’ Court two days later, on Saturday (January 6). Johnson was fined a further £120, and ordered to pay £85 in court costs and a £30 victim surcharge.